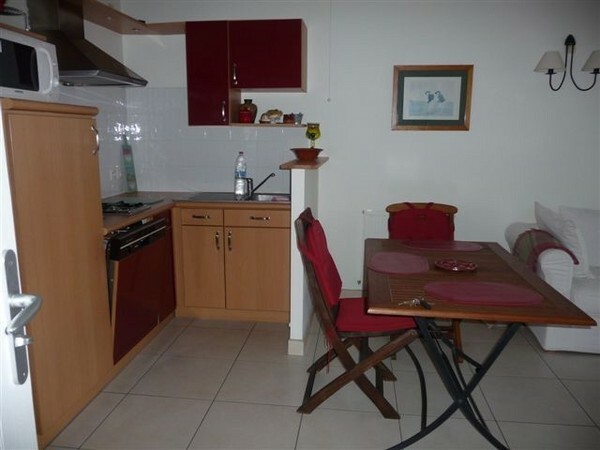 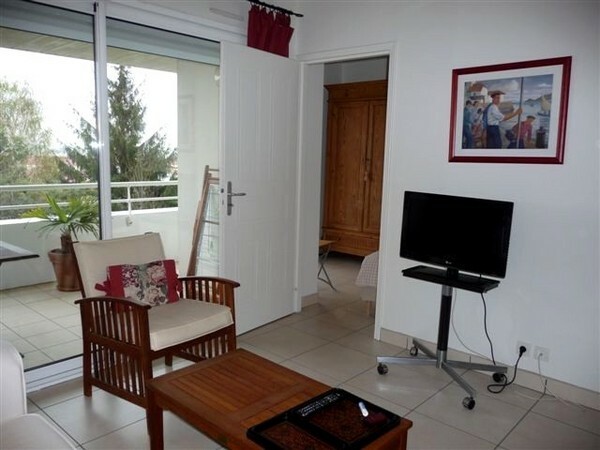 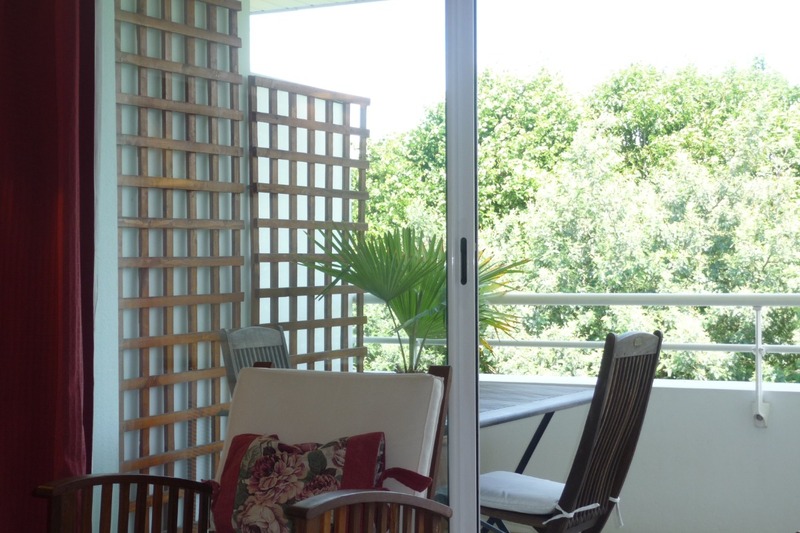 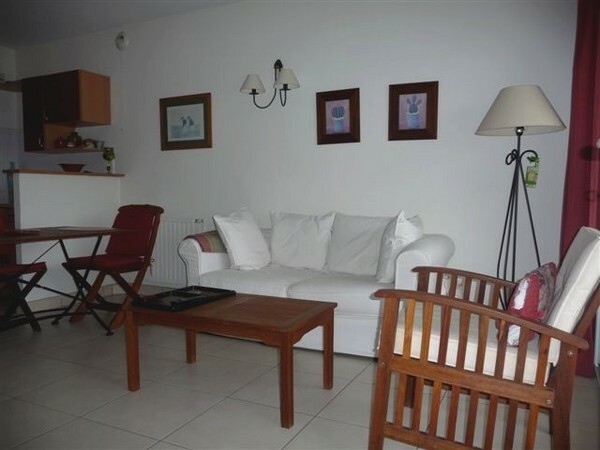 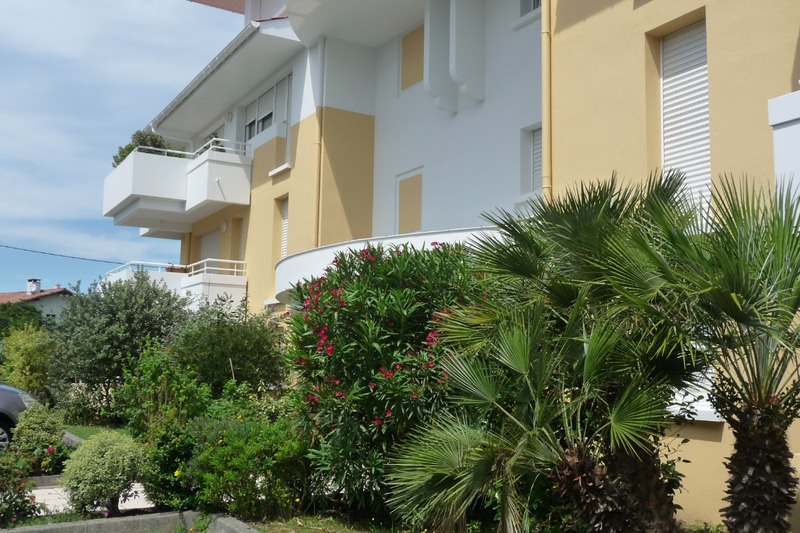 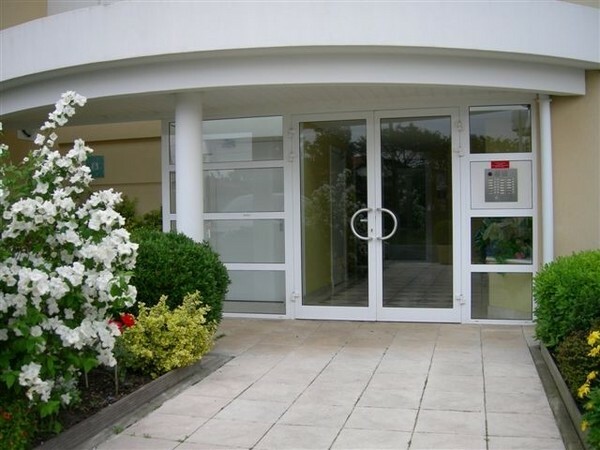 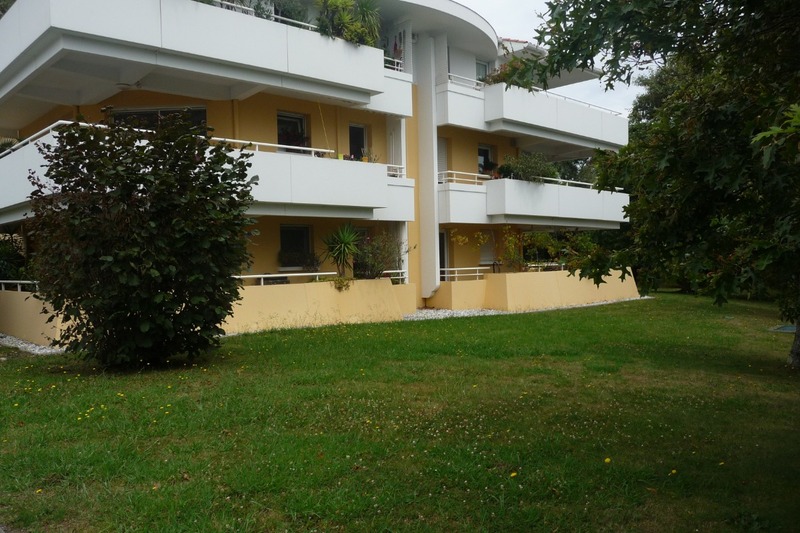 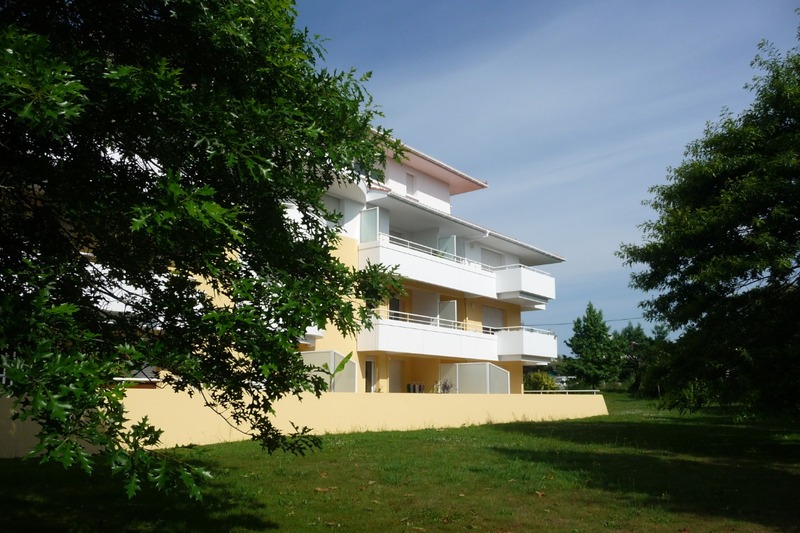 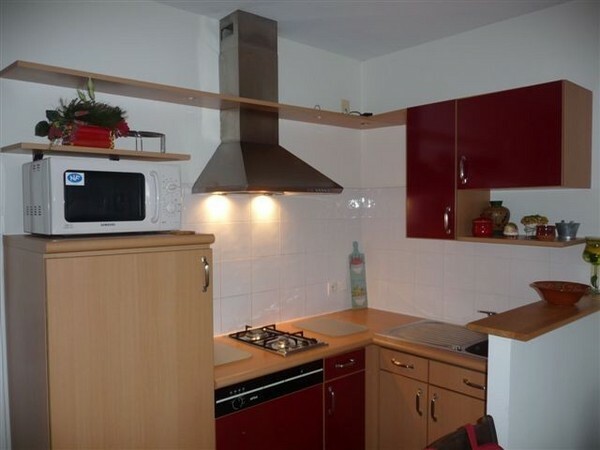 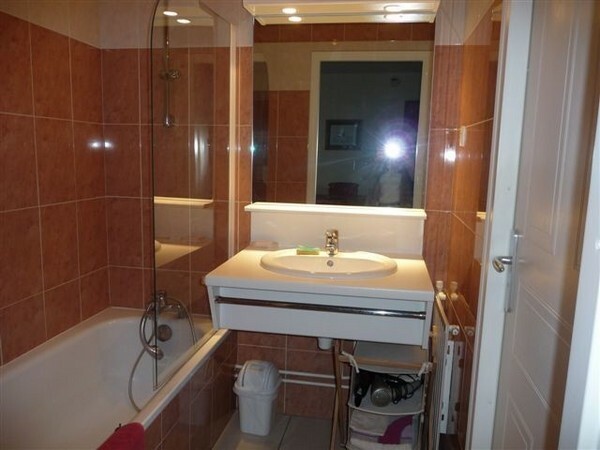 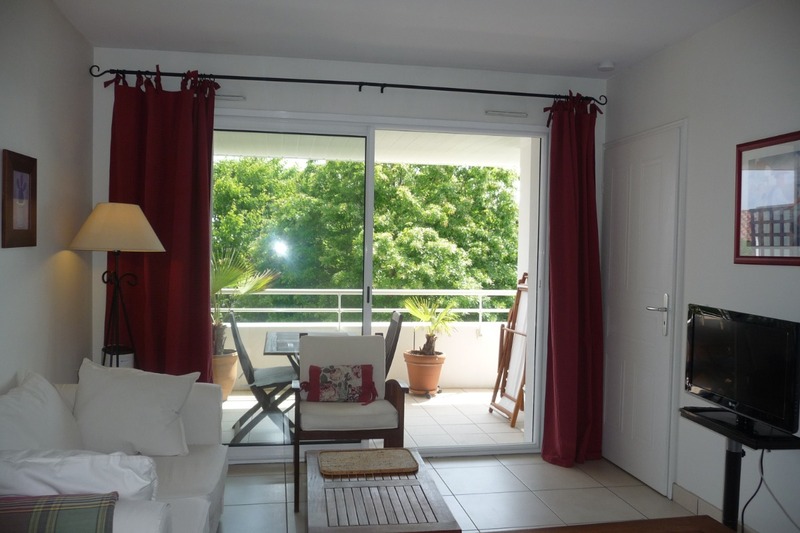 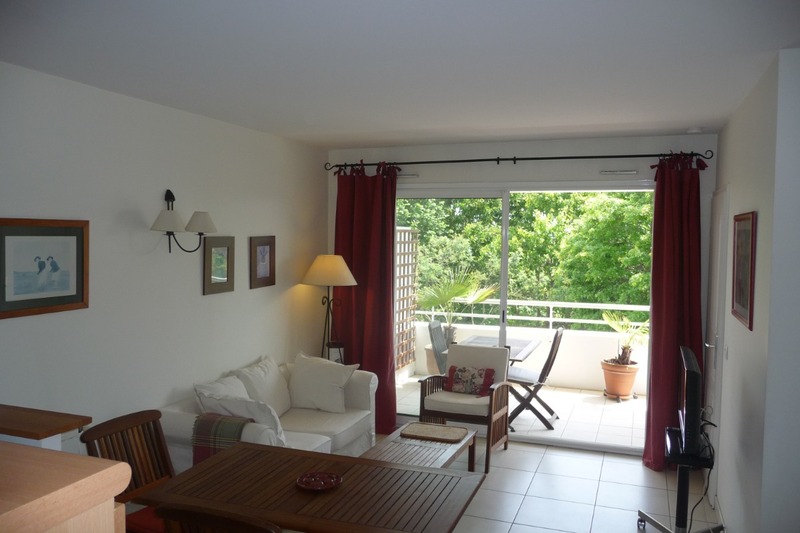 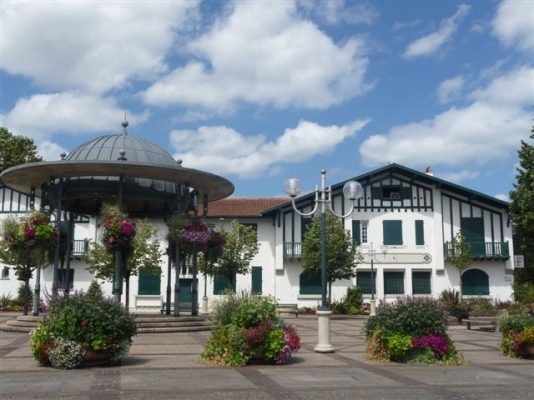 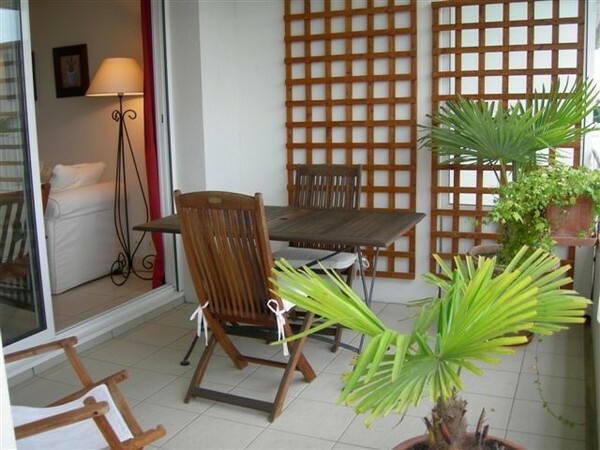 2-room flat on 2nd floor of luxury apartment block,(33m²), lift, peaceful setting. 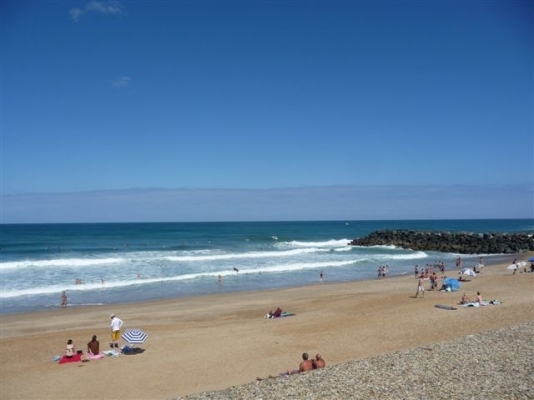 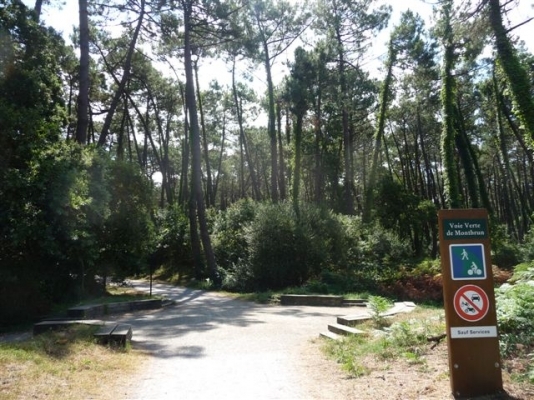 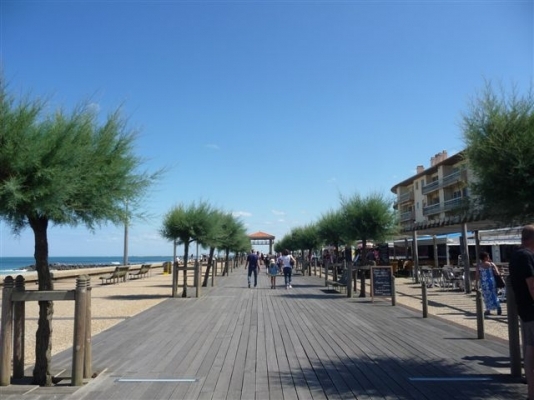 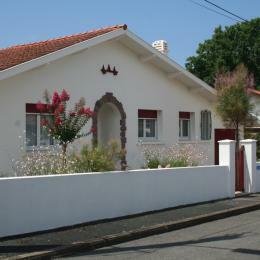 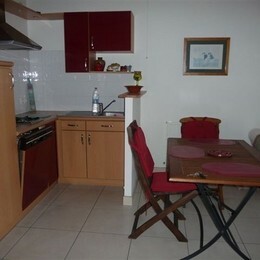 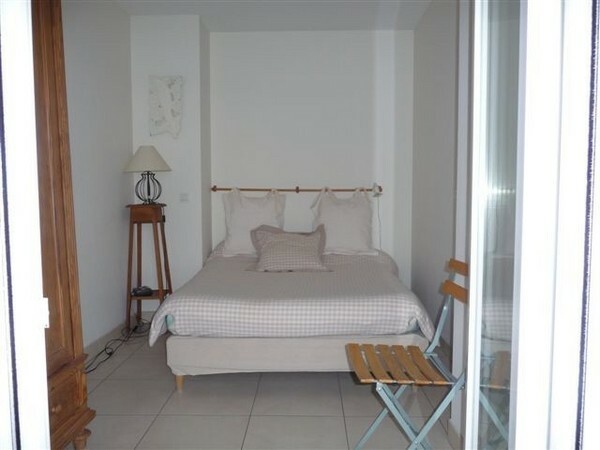 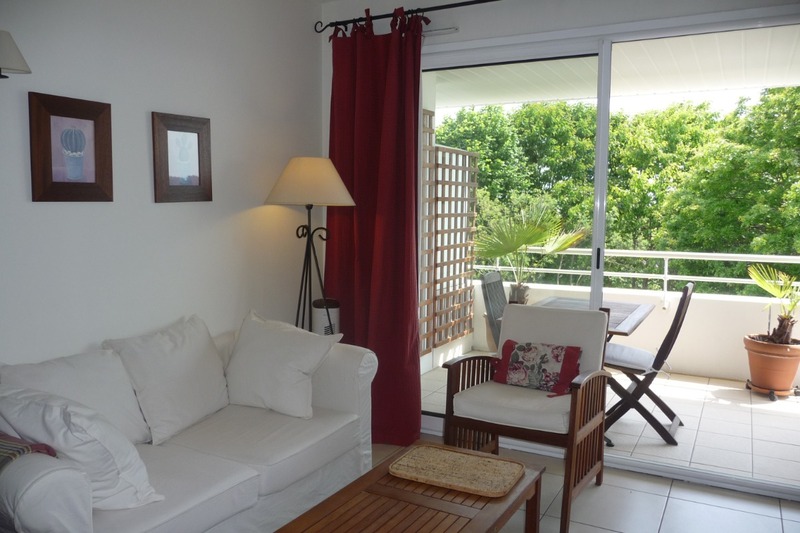 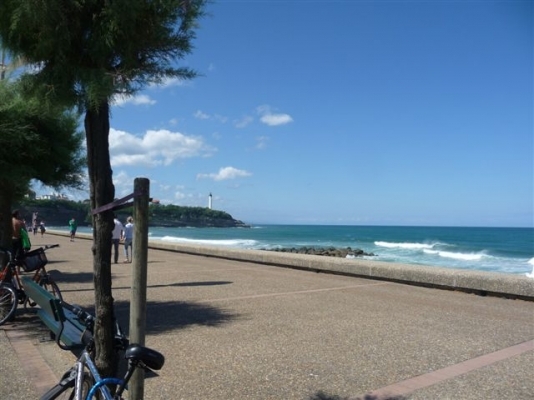 500m from shops, 1km from golf course, 1.5km from Biarritz, 1.8km from beaches and 2km from Bayonne. 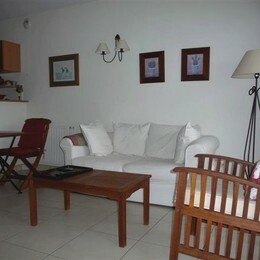 Sitting/living room with small sofabed and kitchenette + dishwasher, 1 room with double bed, bathroom, WC. 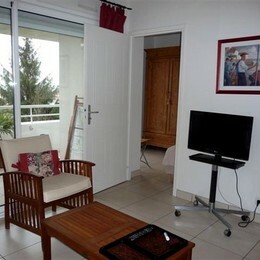 TV, washing machine, covered terrace with garden furniture, mobile telephone, 2 mountain-bikes, private parking space.